Discontinue use and consult a physician if you experience any unusual symptoms. Do not use Horse Power® X if you are under 18 or over 50 years of age. Do not use if you are pregnant, nursing, or are trying to become pregnant. Do not combine Horse Power® X with other caffeinated products. Each scoop of this product contains approximately the same amount of caffeine as 5 oz of coffee. Too much caffeine may cause nervousness, irritability, sleeplessness, and occasionally, rapid heartbeat. 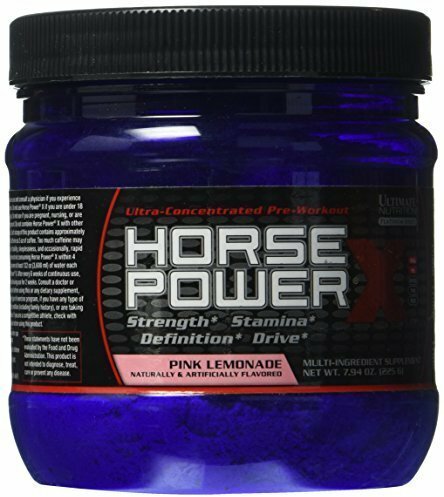 We recommend not consuming Horse Power® X within 4 hours of bedtime. 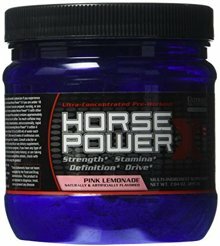 Consume at least 122 oz (3,600 ml) of water each day you take Horse Power® X. After every 6 weeks of continuous use, we recommend discontinuing use for 2 weeks. Consult a doctor or healthcare professional before using this or any dietary supplement, before beginning any type of exercise program, if you have any type of pre-existing medical condition (including family history), or are taking any type of medication. If you are a competitive athlete, check with your sports association before using this product. Natural And Artificial Flavors, Citric Acid, Malic Acid, Sucralose, Acesulfame Potassium, FD&C Red #40.